It’s almost time for the world’s most influential stakeholders in African mining to come together and discuss the fascinating world of the mining industry. In only a few days Cape Town will be filled with members of the worldwide mining community dedicated to the capitalisation and development of mining in Africa. The mining conference is from 6-9 February 2017 at the Cape Town International Convention Centre (CTICC), but for those spending a few days in Cape Town and interested in visiting a top Cape Town attraction, look no further. Visit the Shimansky Clock Tower Showroom at the V&A Waterfront and discover the world of diamonds like you’ve never seen it before. Here diamond fanatics will have the opportunity to explore the complete Shimansky diamond experience with a personalised guided tour. Shimansky offers free transfers for Mining Indaba delegates to the Waterfront during the 2017 Mining Indaba. The Cape Town Diamond Museum offers a delightful insight into the extraordinary history of the South African mining industry and how it changed the world of mining forever. Explore the fascinating world of diamonds in a truly unique way. Expect identical replicas of famous diamonds such as the Cullinan and the Taylor-Burton as well as an in-depth breakdown of the South African mining industry. At Shimansky we believe in excellence. Our diamonds are sourced directly from South Africa mines. This way, Shimansky hand-selects the best quality diamonds there are to offer. But, the process doesn’t stop there. Shimansky also offers diamond cutting and polishing on-site from rough diamond to the final brilliant stone, making sure that the diamond reaches its full potential. Watch as our master diamond cutters transform this magical gem into an array of fire, brilliance and scintillation. Guests on the diamond experience tour are also invited to witness unique and exceptional jewellery masterpieces take shape at the Shimansky Jewellery Manufacturing Workshop. Here, master craftsman shape pure platinum and fine gold into signature Shimansky jewellery creations. For those of you looking to take a piece of Africa home with you, view signature Shimansky jewellery collections such at the Millennium, My Girl, Evolym or Two Hearts rings for inspiration. Shimansky diamonds are graded by international, independent diamond laboratories such as the Gemological Institute of America (GIA) or the European Gemological Laboratory (EGL). Each jewellery creation comes with a Certificate of Authenticity and Ethical Compliance Certificate. Shimansky is also home to the most beautiful tanzanite rings in Africa. The one of a kind gemstones are sourced directly from the Maasai tribe in Tanzania. And only the very best quality gems are chosen for each Shimansky Ayanda Tanzanite jewellery creation. 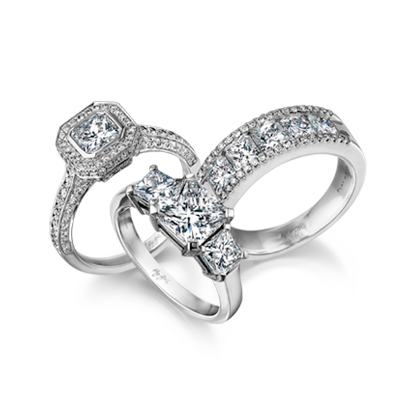 The collection comprises of a variety of breathtaking rings, pendants and earrings. Looking for something rare and valuable? Shimansky also offers a wide variety of natural fancy yellow diamonds. View the breathtakingly beautiful rings, earrings, pendants and bracelets in store and let your world sparkle with the most magical golden hues a gemstone has to offer. Join us for the best cappuccino in Cape Town or a glass of fine South African wine. Spend the day at the V&A Waterfront – Cape Town’s most charming and historical harbour of all time. Take your time to explore the best restaurants is town followed by a luxurious shopping spree. The V&A Waterfront offers a relaxing time while you explore the beauty that is Cape Town. Mining experts, professionals and delegates, who are attending the 2017 Mining Indaba will enjoy special offers at the Shimansky Clock Tower Showroom, Waterfront. From free transfers to an exclusive guided diamond experience tour; A visit to Shimansky is most certainly a must.